First, Santika Premiere Beach Hotel. This accommodation Bali is located at Kartika Plaza Street, Tuban, Kuta Bali. The hotel is closed to the international airport, only a few minutes from the airport to the hotel. The hotel location is near Kuta beach and Legian street. The room class are Bungalow Premier, Deluxe, and Premier. 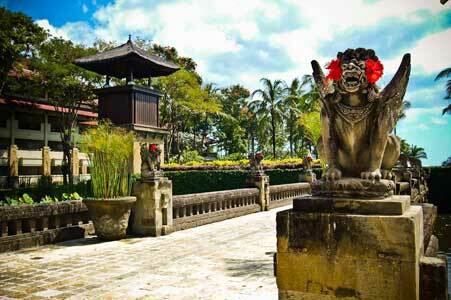 You will not be disappointed when staying at this Bali hotel. You will sunset atmosphere of Bali beach every evening. In addition, each room combined with green plants that can refresh your mind. Second, The Kayana Hotel. This accommodation Bali brings the elegance impression with a blend of classic atmosphere. 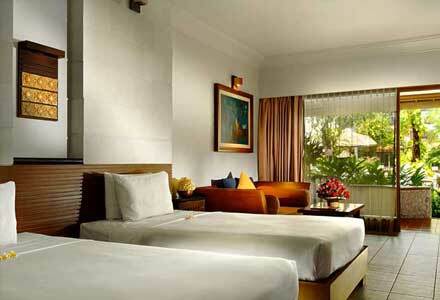 The hotel room class are Deluxe Villa and Pool Villa. The hotel also equipped leisurely stroll area filled with green trees. Each room is provided by LCD or plasma television, separate shower and tub, private pool, air conditioning, bathrobes, desk, hair dryer, and wireless internet access. The space is very elegant and the friendly staff caring the main attraction of this Bali hotels. This Hotel located at Petitenget Seminyak, Bali. Third, Kuta Paradiso Hotel. 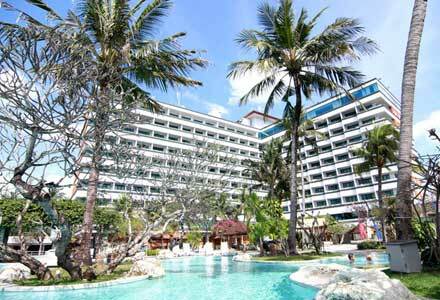 This Bali Kuta resort has strategic location, because the hotel is closed to Kuta Bali. This four-story Bali resort has 243 rooms. The room class namely Deluxe, Deluxe Pemandangan Kolam, and Deluxe Kolam. If you want a leisure or sports facilities then you just come on its massage service, swimming pool, Jacuzzi, gymnasium, sauna and spa. 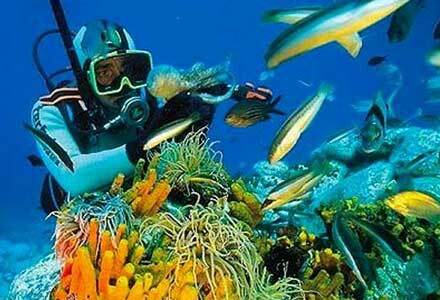 Various kinds of services that available are the main attraction of this hotel. Fourth, Discovery Kartika Plaza Hotel. This 5 star accommodation in Bali is located at Kartika Plaza street, South Kuta Beach. This Bali Kuta resort has a pool view room facilities, Sea Landscape, Landscape Garden, Sea view Suite, Superior, Sea Scene, and Family Suites. In addition, the hotel is located in the middle of eight hectares tropical gardens. The hotel has international conference facilities too. The hotel also has its own mall, namely Discovery Shopping Mall. Some beach entertainment facilities also offered this Bali hotels, for example, cruise, sailing, jet skiing, scuba diving, submarines, and others. If you get bored you can also use a helicopter to enjoy the Bali island view. Last, Intercontinental Bali Resort. This 5 star hotel in Bali theme with a mixture of modern design equipped with a swimming-pool and ornate works of aesthetic stonework. The hotel is strategically located at the edges of Jimbaran bay. This 5 star hotel has a warm atmosphere, friendly, and exotic, fitting for newlywed couples, families, and businessmen. If you could email me with a couple of hints on how to find the cheap but high quality bali hotels, I would be pleasant. I want to get a bit of sun at all inclusive package holiday to bali. All inclusive deals include flights, transfers, hotel, food, drink and you can even book excursions and extra trips on to the price. Its the great way to ensure you dont overspend on your vacation because everything is cheap. Holiday makers often choose this option as it takes the stress and worry from their holiday. Every time I see a really good post about Bali I go ahead and do one of three thing:1.Forward it to the relevant friends.2.save it in some of the favorite social sharing sites.3.Make sure to return to the same website where I came accross the article. After reading this bali beach accommodation I’m really thinking of doing all three. I stayed in one of that 5 star accommodation recently. It was a three bedroom house and was fully equipped with everything we wanted. bali is different to other countries in that the hosts expect you to look after yourself. Excelente bali accommodation! Gracias por el blog. ?Puede alguien sugerir un libro donde puedo encontrar m?s informaci?n?